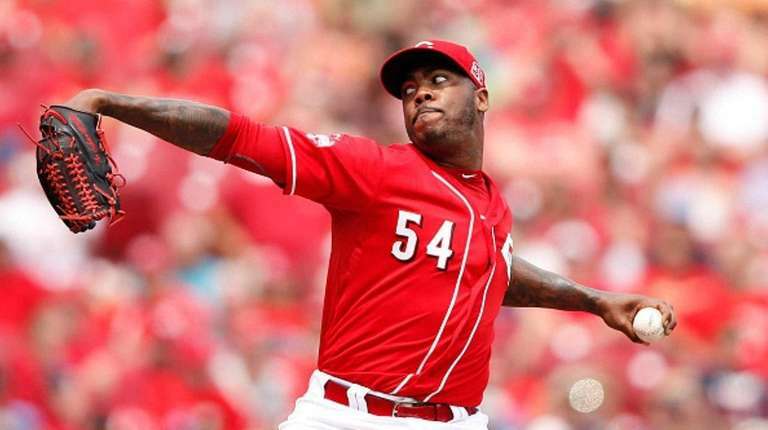 The leader of the New York City Council says she is “very disturbed” by the Yankees’ completing a trade for Aroldis Chapman, the Cincinnati Reds’ all-star closer under investigation for domestic violence. Major League Baseball and Florida prosecutors are looking at allegations that Chapman pushed and choked his girlfriend along with firing eight gunshots in the garage of his Miami-area house in October. “I think it was really wrong of the Yankees to have signed this guy on. We all want the Yankees to do well — but at the expense of what, right?” said Mark-Viverito, a Democrat who represents parts of Manhattan and the Bronx. Florida state prosecutors said they would consider criminal charges against Chapman, a Cuban defector whose 103-mph fastball is the major leagues’ fastest, after a police report about the alleged violence by the four-time all-star leaked to Yahoo Sports earlier this month. News of the allegations stymied an earlier trade between the Reds and Los Angeles Dodgers — but the Yankees chose to acquire Chapman for four minor leaguers. “Given the circumstances that currently exist, the price point on acquisition has, you know, been modified, we’re acquiring him understanding that there are some unresolved issues,” said Yankees general manager Brian Cashman. “I think the Yankees often make controversial moves and sometimes they don’t pay off, but this one’s too early to tell,” said de Blasio, an avowed Red Sox fan.